When it comes time to purchase new flooring for either your home or business, you will always tend to lean towards whatever flooring has the best deal with the most benefits. Well, for our neighbors in Houston Texas, we have a deal for you that will make your jaw drop to the floor! We are offering our epoxy flooring to all homeowners and business owners in Houston at incredibly affordable prices! Now, let’s talk about what epoxy flooring has to offer to you! Tired Of Your Outdated Flooring? Time To Switch To An Epoxy Flooring System! Epoxy flooring is quickly becoming one of the most popular flooring options in residential settings and has already been the leading flooring system in both commercial and industrial facilities! Don't let traditional flooring systems blind you, epoxy flooring is the future and we don't want you to be left in the past! Before the process of installing the epoxy flooring, there is a process of preparation that must be completed before anything related to the epoxy resin can happen. The first step of preparation is deeply important as it is what will provide the seamless finish of the epoxy flooring system. This step is the repair of all imperfections on the concrete slab, these imperfections include but are not limited to, small cracks, chips or gouges and stains. Only after the epoxy crack filler has dried can the next process of preparation begin. Fast forward 30 minutes, and the next step of profiling the concrete slab is ready to take place. This can be done either one of two ways, either with an industrial grinder equipped with a diamond wheel blade or a shot blaster. The industrial grinder is used more often than the shot blaster as the grinder is more efficient and even faster than the shot blaster, not to mention the grinder is much cleaner than the shot blaster. Both are incredibly efficient at profiling the concrete slab so don’t fret if one method is used over the other. The choice of which method to use is solely based on the size of the area and the type of epoxy flooring is being applied, not on the customer. 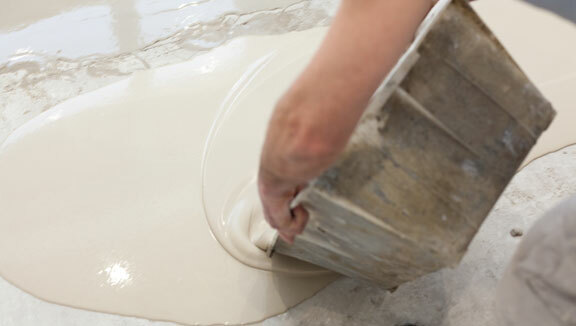 Always only use professional help when it comes to preparing your concrete slab. Other guys like regular Joe may skip steps or prepare the slab incorrectly leading to your flooring not performing as it should. Don’t settle for another subpar flooring installed by a subpar flooring contractor, use us and you will be able to sleep at night knowing that your flooring has been installed correctly the first time around. Our team of epoxy flooring contractors only use the best equipment and methods to ensure that your epoxy flooring is going to be the best flooring that you have ever encountered. When we pair our top-notch methods and equipment with our team of epoxy flooring contractors decades of experience, you can have confidence in your flooring. Call us today for a free quote! No matter where you are, you can have an epoxy flooring system installed anywhere under a roof. Below are the most popular ways epoxy flooring is utilized. Garage floor epoxy as it offers amazing chemical resistance, superior durability and even the ability to make the garage brighter. Restaurants use epoxy flooring as it is easily disinfected and one of the few flooring systems approved by the USDA. 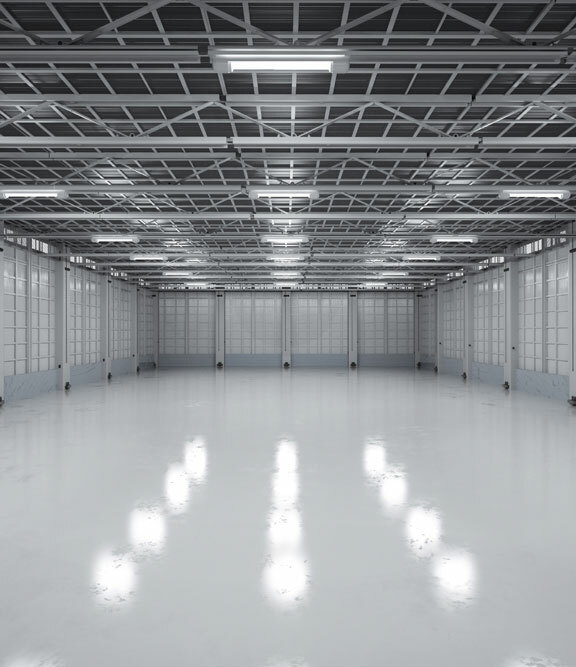 Both commercial and industrial facilities love epoxy flooring for its low lifecycle costs and easy maintenance that will allow employees to focus on their work. Car dealerships use epoxy flooring; specifically metallic epoxy flooring for its flashy appearance and stain resistance. Warehouses use epoxy flooring to make the workplace safer and more efficient by using stencils inserted into the flooring. Stencils can be used to form arrows, walkways, and barriers.